The Switzerland international was allowed to play on, despite being knocked out and almost swallowing his tongue. Fabian Schar was knocked unconscious during his countries game against Georgia which he was amazingly allowed to continue playing in. The Swiss international claims he 'can't remember a thing' after losing consciousness which makes it more unbelievable that the medics allowed the defender to carry on. 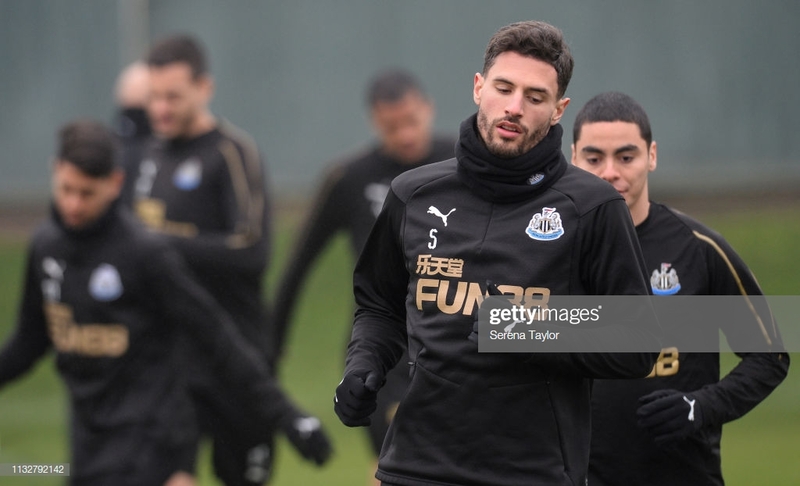 Schar has been withdrawn from the Switzerland squad after Newcastle United and the Swiss FA came to an agreement. The Newcastle defender collided heads in the 24th minute and was out for four minutes as Georgian player, Jano Ananidze rushed to Schar's aid to free the defenders' tongue. Schar told Swiss newspaper Blick: "It looks awful, I can't remember anything. "I was out for a few seconds." This is what makes it worse that Schar was able to continue despite being seconds away from swallowing his own tongue. Schar added: "My skull is still humming. "And I've got a neck-ache and a bruise on my forehead. FIFA rules state that if a player suffers a concussion they should sit out matches for the next six days. However, Schar was allowed to play 10 minutes later after receiving treatment which has come in for a lot of criticism. Peter Robinson who is the father of Ben Robinson who died aged 14 after sustaining a head injury during a rugby match. Robinson said: "This is shameful and a terrible example to all the kids watching. "Newcastle star Fabian Schar knocked unconscious in sickening clash of heads but still plays on for Switzerland."